Often when asked what Federation means for me my answer is: “It is my best vehicle to translate the big global Jewish scene into a local, intimate digested sphere – glocal.” This past week provided me with yet more proof of this theory. Matan z”l was a Diller Teen Fellow from our cohort of “MetroLezion,” a renowned teen leadership program supported by the Hellen Diller Foundation, Greater MetroWest Federation, and our partner community of Rishon Lezion. When he was killed in action, Matan’s New Jersey peers and our community at large commemorated him as one of us. His parents visited New Jersey and have hosted many Federation groups in their home. We also created a fund in his name, and his story connected and educated many community members about Israel in general and the Gaza situation in particular. 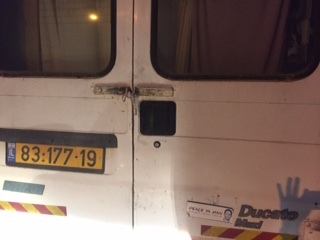 A sticker with Matan’s photo and his motto: “Peace Ya Man” was distributed among his friends and is affixed in locations all over the world. Matan’s energy and smile were not lost with his death – they still generate energy and inspiration in our community and beyond. I apologized to the speaker and the mission participants for interrupting like that, but I also used this incident to educate them about the importance of our Federation’s global connections. 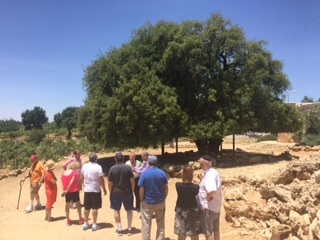 We saw and discussed the same concept later on that day in Gush Etzion, when learning about the personal stories of the defenders there and in Kibbutz Erez, as we visited the terror tunnels from Gaza and toured the new neighborhood of the Kibbutz with Erez’s children.